Pension plans are a thing of the past, putting more of the onus on retirees to create their own income stream to help fund their golden years. While many savings vehicles exist, like a 401(k) plan or an IRA, annuities are often overlooked. There are a variety of annuities in the marketplace, but the two most popular are a variable annuity and a fixed one. With a variable, you deposit a lump sum and the money is invested in stock and bond funds. There are many types of variable annuities, but in the most popular type guarantees the ability to withdraw a certain amount of your investment for the rest of your life. While you may lose money in the stock market, you will always receive income while you are alive. With a fixed income annuity, you are guaranteed a lifetime stream of income, but your money isn’t exposed to the gyrations of the stock market. Patrick Egan, director of asset management and product development at Thrivent Financial, likens a fixed annuity to a bank CD. A tax-deferred annuity can provide the chance to have money grow tax deferred, and can be an appealing option to those who don’t have access to some sort of tax-deferred retirement savings plan at their job--like a 401(k)--or those that are interested in saving more. Just like any other investment product, not all annuities are created equal nor are the insurance providers that back them. Because of that, Wollam says the retiree has to do their homework. 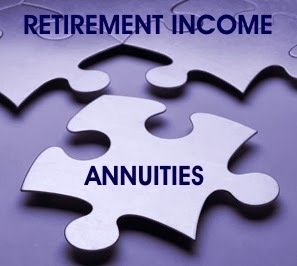 A main downside of annuities is the fees often associated with them. While not every provider charges an outrageous amount, Scheumann of Hefty Wealth Partners says there are enough who do, to bring about the bad reputation. He says fees higher than 4% should raise a red flag. Some annuities have really long contracts where you can’t get your money back for 20 years without paying a penalty that could be as high as 15%, says Scheumann. Not a good situation for those in retirement. Since annuities are underwritten by an insurance provider, investors need to choose their product carefully to avoid learning the insurance company went out of business when it comes time to start collecting money. “Strong stability ratings from the big insurance rating agencies are crucial,” says Egan. “The guarantee is only as good as the claims paying validity of the underlining insurer.” He recommends reviewing insurers’ ratings before purchasing a product. Although anyone can purchase an income annuity at any time, financial planners say the sweet spot for this product is when someone is nearing retirement or is already in retirement. They caution it’s not a good idea to tie up all your money in annuity, but to make it part of diversified strategy. “Retirement should be funded from a reliable source like Social Security and pensions to cover essential expenses. If you don’t have enough to cover your essential expenses an annuity can be an effective supplement,” says Wollam.